Blog looks great! I especially like the guide interviews. 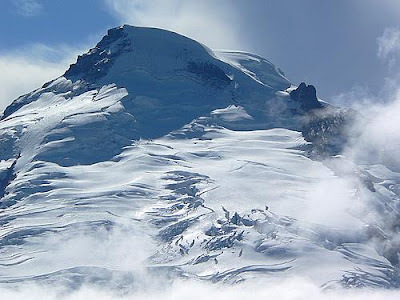 Regarding the frontspiece photo of Mt Baker...I'd bet my skis that is not a view of the Easton/Deming Glaciers. Sure looks like the Park to me. Cheers.